It seems like not a week goes by without a story about a child killing someone or going on a rampage then blaming it on video games. 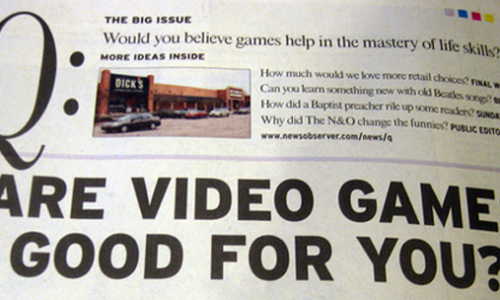 Then there are the stories of how video games make people fat, hinder social skills, and generally hurt society. These types of stories do a decent job of making video games look bad. We decided to put together twelve examples that show that video games can actually be a benefit in "real life". A few of these are counter arguments to unfounded claims while others are examples of the gaming industry doing things to better the world, many of which widely go unnoticed.